Terrible news this morning out of Spain where numerous outlets are reporting that ex-F1 test driver Maria de Villota was found dead in a hotel room in Sevilla, reportedly of natural causes. 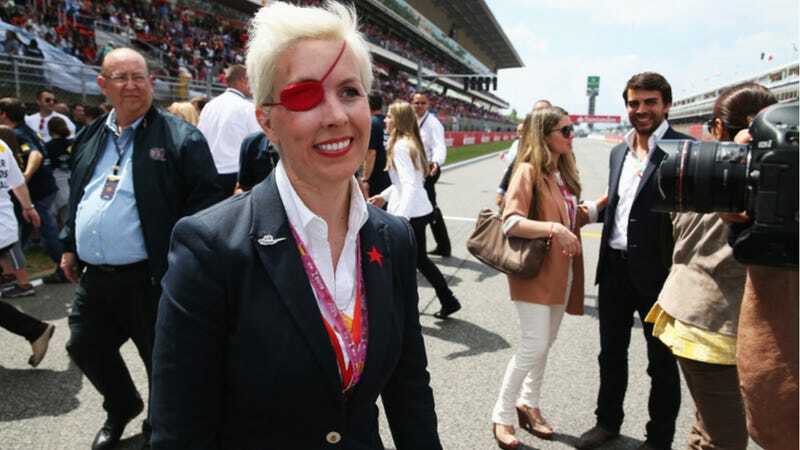 That Maria de Villota was a alive at all was kind of a miracle. The European race car driver and daughter of former F1 driver Emilio de Villota had earned a testing spot with F1 team Marussia when a brutal crash cost her an eye and almost her life. While that likely cost her a chance to ever race in F1, she didn't shrink away from the world and used the year-and-a-half of extra life she got to help out with charities, encourage other female drivers, and be a huge badass. Her death, which in time we may learn was due to this accident, is a loss to everyone. And as Lindsay Orridge pointed out this morning, de Villota's biography was due out this upcoming monday. The title? "Life is a Gift."